It seems augmented reality is everywhere these days, from furniture catalogs to restaurant menus and beyond. Small wonder, really, as it takes advantage of both print’s reassuring tactile quality and the digital world’s near limitless capacity for invention and information. But what exactly IS augmented reality and how can you effectively introduce it into your design and marketing work right now? Join us on May 2nd as Sarah Mannone, executive vice president at the tech-driven creative services agency Trekk, explains how augmented reality works, and gives you the information you need to get started with creating your own AR projects right away. She’ll even walk you through a successful AR-print campaign from start to finish. 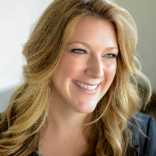 Sarah Mannone is Executive Vice President at Trekk, a tech-driven creative services agency. She works with Trekk clients to develop strategic marketing plans and craft measurable programs that span print, web, social and mobile. As part of the Trekk management team, Sarah is involved in the decisions and strategy around new technologies and applications to meet the current and future needs of Trekk clients. She leverages an expansive knowledge of marketing tactics and technologies to lead creative and technical teams, and to create communications programs that help marketers meet their business objectives. Sarah holds a Bachelor’s degree from Northern Illinois University and a Master’s in Communications from the University of Illinois. Sarah is a member of the Forbes Agency Council and a frequent speaker at marketing industry events. Learn more about Trekk at Trekk.com. This webinar is made possible by the generous support of our sponsor. Our webinars are sponsored by leading industry corporations so you can attend for free.